Home Private Jobs Urgent Vacancy - Paradise International P. Ltd. Urgent Vacancy - Paradise International P. Ltd. 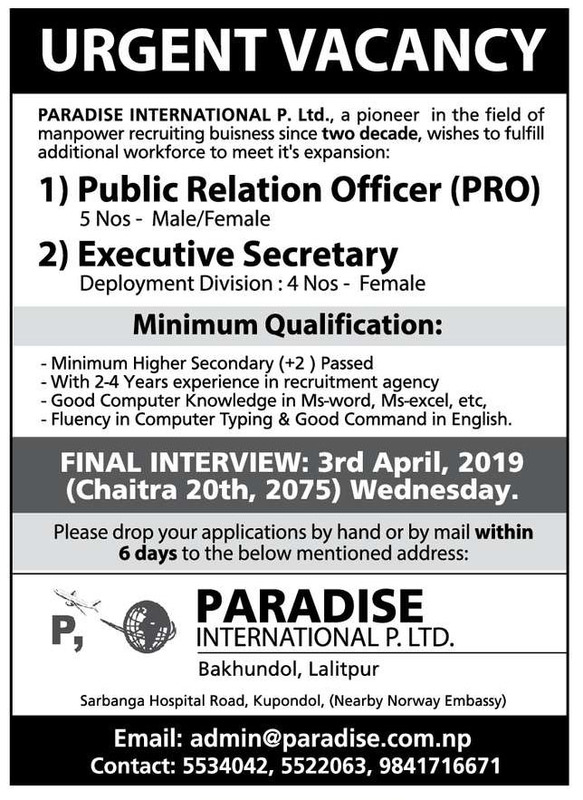 Urgent Vacancy - Paradise International P. Ltd.: Paradise International P. Ltd. needs 1) Public Relation Officer - 5 Nos Male/Female and 2) Executive Secretary - 4 Nos Female to fulfill additional workforce to meet its expansion. Check the official notice from Kantipur News below to find out more details about this urgent vacancy announcement.